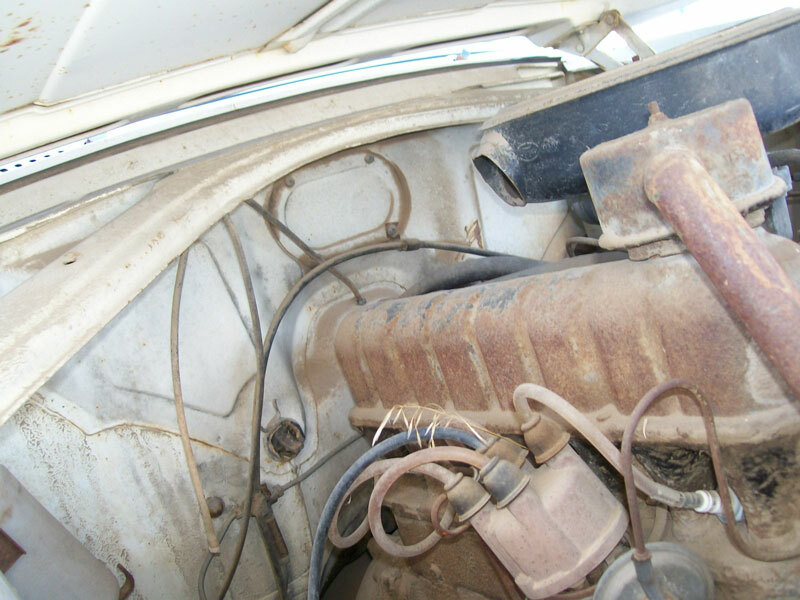 This gray 1961 Ford Taunus Turnier 17m Super P3 three door station wagon is a mostly complete classic foreign car from Germany ready to be restored, customized or used in an existing project. These cars were made by Ford Werkes A.G. of Koln-Niehl Germany. The windshield is cracked. The rest of the glass is good. The right front fender, trim and running light are damaged. The grill has some dents. The left front fender belt trim is missing. There is a dent in the right front of the hood. The front panel Taunus letters are gone. Both front headlights and running lights are missing. The left door mirror is missing and the mounting holes are damaged. There is rust in the tails of both front fenders and in the front bottoms and tails of the quarter panels, especially in the tail of the right quarter panel. The left stop light is broken and the sheet metal is damaged. The left side of the tailgate is dented. The rear bumper is damaged. Some of the tailgate glass trim is missing. The rear wheels are missing. The black and white interior is all there. 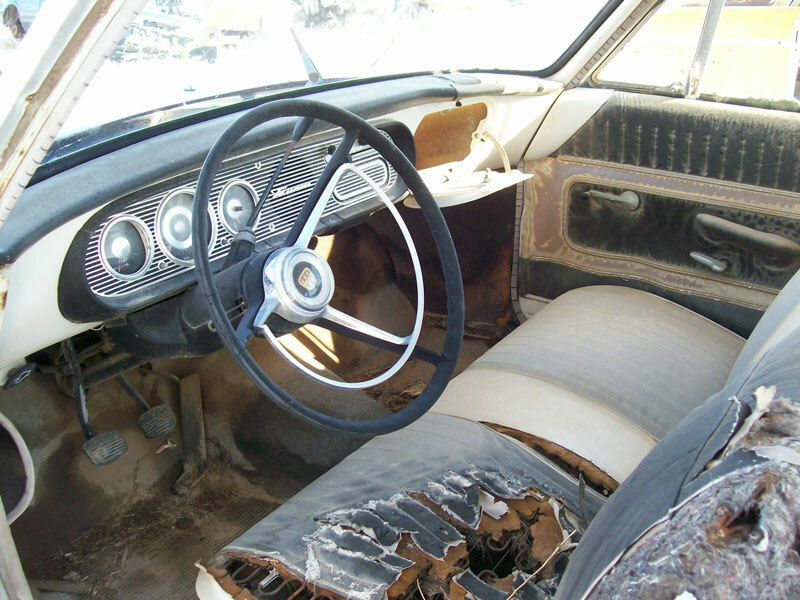 The front seat is worn. All the dash and gauges are all there. The floors are solid. The back seat is there and folded down. The inline 4 cylinder OHV motor and manual column shift transmission is all there. The size of the model and type of transmission are unknown. 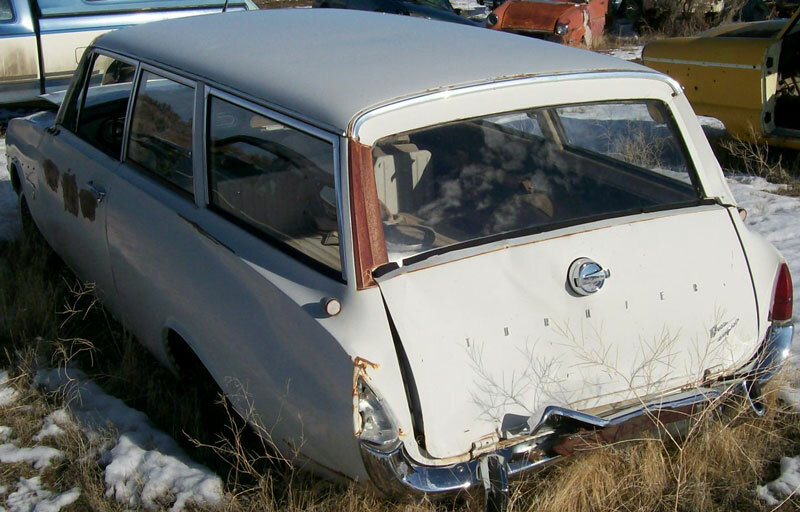 Here is your chance to own a unique 1961 Taunus Turnier station wagon. 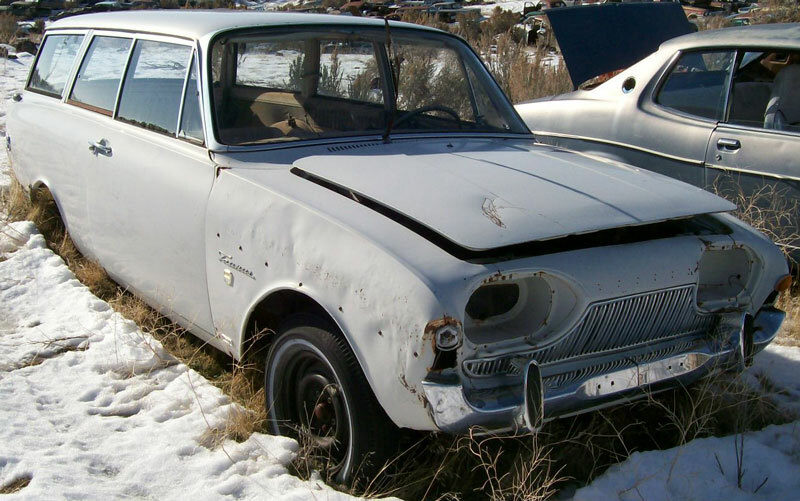 Please call (406) 318-0270 for details about this restorable classic 1961 Ford Taunus project car.